Auntie M is visiting her four Grands in the Midwest the next two weeks, celebrating a Sweet 16 for #2, a HS graduation with #1 on his way to Harvard, a special choir concert for #3, and four teams worth of lacrosse games. There will be lots of hilarity and she’s hoping #4 is still the only one shorter than she is! So in honor of all the smiles she’ll be receiving, she’s handing you the following for your reading–and laughing–pleasure! 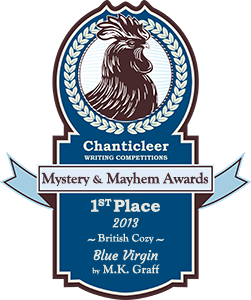 CF Carter and his wife publish a monthly mystery magazine, so he knows how to plot one. 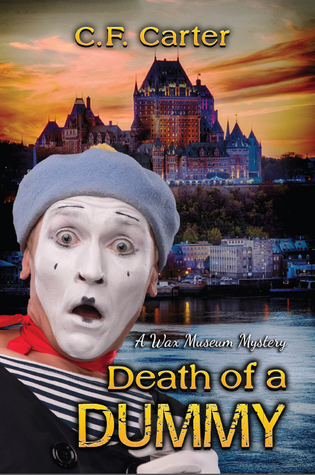 His debut, Death of a Dummy, is the first in a planned Wax Museum series. Set in Old Quebec, it introduces the black sheep of his wealthy Vancouver winery family, surf bum Paul Wainscott. Accompanied by his Golden Retriever, Benchley, he heads to Old Quebec City after his father dangles one last business proposition, designed to give Paul a future and a way to learn how to run a business out of sight of the beguiling waves. His father has bought him a building to fill with tenants and a credit card with enough money to cover his expenses for three months. After that, he’s on his own. It’s an interesting premise, made more interesting by the decrepit wax museum in the basement. And with Quebec having one of the lowest crime rates in North American, what could possibly happen? He meets two women who will become integral to him: Sophie, the pretty chef of the nearby crepe restaurant, and Dottie, a octogenarian who watches over him and becomes his business partner while making fascinators on the side. He’ll meet Guy Trembley, owner of the antique shop across from his lovely building, and learn he knew Guy as a child. There’s his one renter, mime Remy St. Claire, and former policeman Bernard Curtius. This mix of characters sustain the plot when one of the above-mentioned turns up murdered. Carter’s use of history to mine the Wax Museum adds another level of interest as Paul finds himself at the heart of a murder investigation. 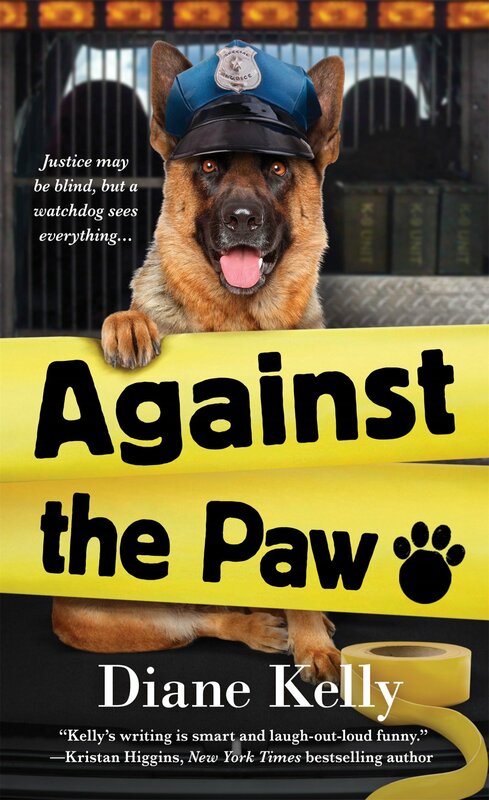 The fourth Paw Enforcement mystery by Diane Kelly, Against the Paw, is the next installment in the Fort Worth series whose recipe features rookie Megan Luz and her K-9 partner, German Shepherd Dob mix Sergeant Brigit. Add Megan’s bomb squad boyfriend, Seth, to the mix, for that touch of romance, and then alternate chapters in points of view that include Brigit, and you’re in for a hilarious ride–especially those snarky asides from Sgt. Brigit. An dont forget Megan’s colleagues, who include Dereck Mackay, always out to thrust Megan in as poor a light as possible. What’s a female officer to do? There’s a convicted burglar who’s broken parole and Megan’s goal is to find him and put that feather in her cap with Captain Leone and Chief Garlic. But there’s also a Peeping Tom terrorizing the upscale neighborhood, and the Neighborhood Watch group grows in ferocity as their perceived threat increases. Kelly ramps up the humor with chapters from “Tom’s” point of view. There will be surprise mystery guest, too, in Megan’s private life. 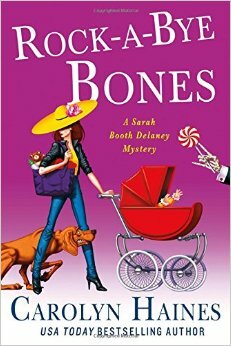 Carolyn Haines newest Sarah Booth Delaney Mystery is Rock-A-Bye Bones. It finds the unlikely PI still smarting after the break with her fiancé and subsequent attack she suffered in Bone to be Wild now out in paperback. Sarah Booth will get the surprise of her life when she finds what she thinks is a kitten mewing on a cold night at her home in Zinnia, Mississippi. The appearance of the spirit, Jitty, in different guises, adds to the excitement in Sarah’s home. For that kitten turns out to be an abandoned newborn in a basket. Bloody footsteps leading to her door are her first clue; a dark-colored car leaving the area is her second. It will be up to Sarah and her PI partner, Tinkie Richmond, to find the baby’s mother. But as they start to investigate, it soon becomes apparent that this was not a mother abandoning a child as much as a woman running for her own life and trying to protect her infant. With Sheriff Coleman Peters still stirring unresolved feelings in Sarah Booth, and Tinkie taking care of and becoming attached to the baby girl, Sarah has a lot on her mind in addition to tracking down the real mother of this little girl. It will soon become apparent that the mother wouldn’t have left her baby unless she had something to fear–and Sarah is following her uneasy and terrified footsteps. 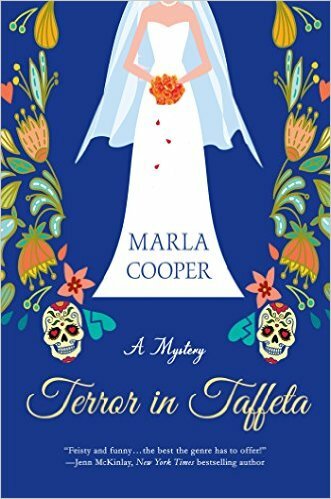 Marla Cooper’s accomplished debut, Terror in Taffeta, serves up a feisty amateur sleuth readers will want to read again. Kelsey McKenna is a wedding planner who has learned to juggle everything from wardrobe issues to groomsmen who start to party too early. 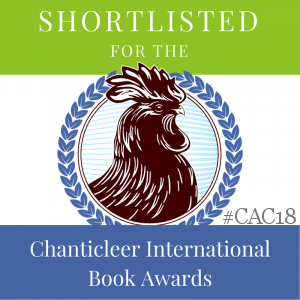 So she’s received to be wrapping up what she thinks is almost hit a home run with a destination wedding in the charming Mexican town of San Miguel de Allende–until during the ceremony, a collapsing bridesmaid turns a faint into a murder investigation by dying. 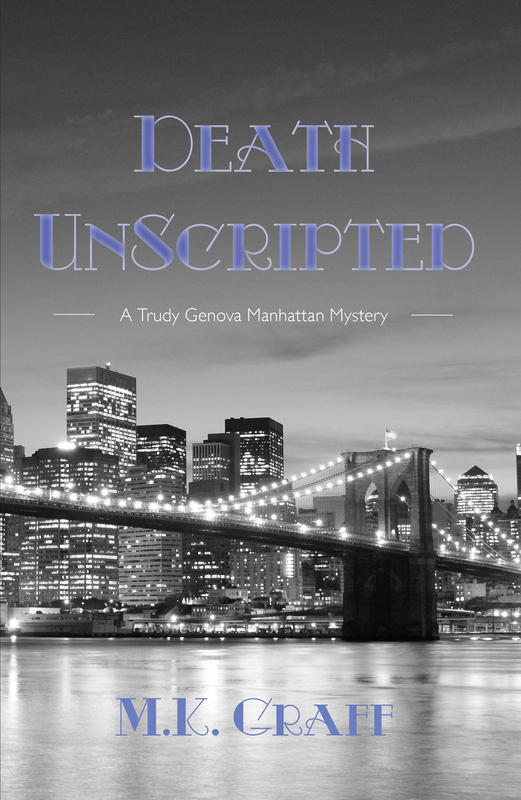 Pressed by the paying mother of the bride to not ruin the wedding, Kelsey must keep the murder to herself and play homicide detective–in another country–where she has no power and knows no one–or does she? And then there is a second murder and suddenly the maid of honor is a suspect. Smart and funny at the same time, Kelsey must track down a murderer, all the while wondering how this is going to affect her business. 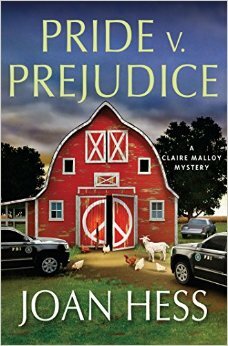 Joan Hess brings back her almost-retired bookseller, Claire Malloy, in Pride v. Prejudice. A widow with a teen, Caron, who speak in ALL CAPS, Claire’s marriage to Deputy Police Chief Peter Rosen has changed the landscape. She has employees to run the Book Depot and is able to serve on jury duty. But her colorful past comes back to haunt her, as Claire comes up against a prosecutor who has a grudge against her and Peter. He humiliates her even as she’s dismissed from jury duty. But Claire doesn’t take the slight lying down: She decides to prove the defendants’ innocence. Of course, this proves to be more difficult than she’d first expected, as the evidence Claire uncovers points squarely to Sarah Swift’s guilt. Before it’s over, the FBI will be involved, and so will Claire’s now mother-in-law. A delectable bite of fun. 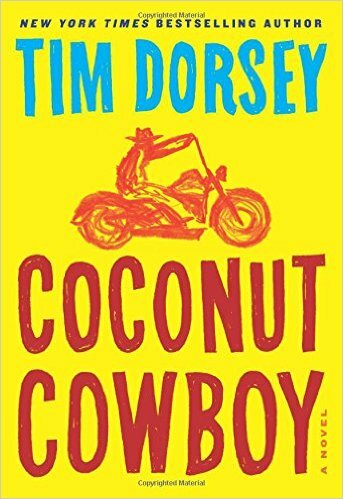 We travel next to Florida and Tim Dorsey’s remarkable serial killer, Serge Storms, in Coconut Cowboy. Serge has always been obsessed with all aspects of Easy Rider. The lovable serial killer decides he must finish the journey of Captain American and Billy, his heroes. Calling himself Captain Serge, he sets off for Florida’s panhandle with Coleman riding shotgun to find what he calls the real America, filled with apple pie and Main Streets. But rural American is not what Serge expected at all. The duo find more than their fair share of corrupt politicians. A few mind-altering meds will be included before their wild ride is over, and of course, their usual homicides that just seem to follow these two. There will be gunfights, Senators and more for the font of trivia that is Serge. This is the 19th in the series and fans can’t get enough of Serge and Coleman’s adventures, which Dorsey admits are often inspired by stops along his extensive drives around Florida doing signings, wearing his usual wild Hawaiian shirts. The third installment in Hannah Dennison’s series brings her usual hilarity through its eccentric characters. 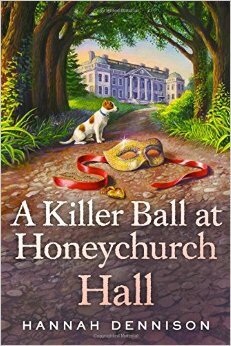 This time it’s A Killer Ball at Honeychurch Hall that does the honors, the Hall being Kat Stanford’s estate, a 600 yr-old mansion that appears to have a hidden room. Being set in the lovely Devon area doesn’t hurt, either. Kat finds the room exploring an unused wing at the Hall. But ti seems someone else has gotten there before her, for she finds the body of a young woman, dressed in an Egyptian costume, with a costume necklace around her very broken neck. Anyone at the Hall at this time falls under suspicions, and it is up to Kat to clear her friends and find the real killer. Iris, Kat’s mother, also known as Krystalle Storm, a bestselling steamy romance novelist, is on hand to muddy the waters with the related characters representing a modern-day Downton Abbey, of a farcical style. A classic country-house mystery for modern times with modern sensibilities. 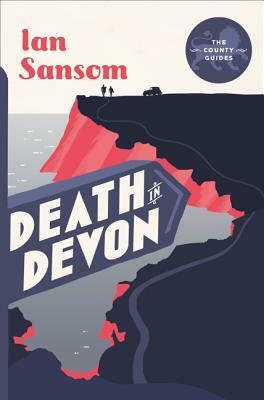 Auntie M is a fan of Ian Sansom’s Mobile Library Mystery Series, and so was intrigued to receive a review copy of his “Country Guide” installment fearing the “People’s Professor,” in Death in Devon. 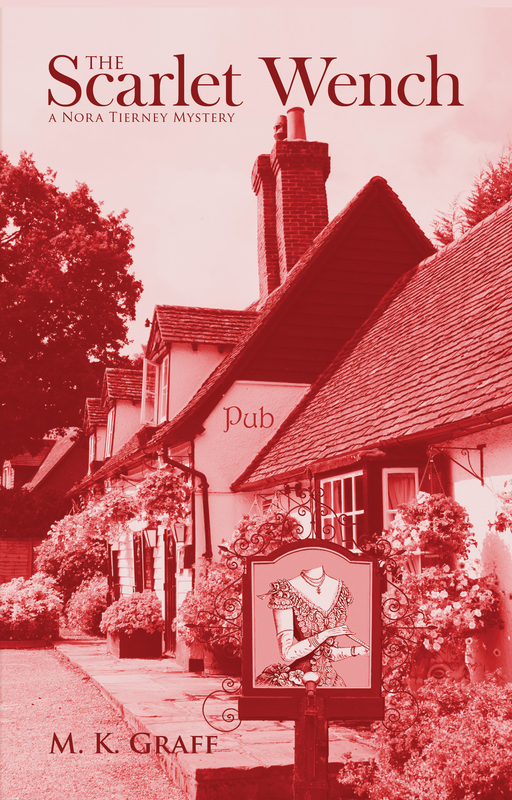 The first is set in Norfolk Guide; this one takes readers to Agatha Christie’s home county. Readers should be prepared for a very different outing than the breezy humor of the Mobile series. This is a sendup of the 1930s, replete with the class system, school bullies, poor Sefton with PTSD–it’s all there and all ready to be parodied. Told from the viewpoint of Stephen Sefton, assistant to Swanton Morely, the story begins with the two men setting out to Devon, accompanied by Sefton’s comely and adventurous daughter Miriam as driver of the family Lagonda. Merely is to speak in Rousdon at All Souls School at their Founders Day, an event destined to bring in large donors of the attendant boys. But tragedy strikes early in the form of a youth found dead at the bottom of the famous Devon cliffs. Is this an accident or a case of murder? It remains to be seen, as police investigate quietly so that the Founders Day founders do not scatter or withdrew their financial support. The story unwinds in an obtuse and meandering way, elaborating on the eccentricities of many of the faculty. Of course, no character is as eccentric or as bold as Swanton Morely himself, who has seemingly written more books, papers, treatises and articles on almost as many subjects as one can imagine one would tackle and still sleep, if he ever does. He is a fountain of information, some of it suspect, and Sefton is the chief gatherer of his rambling monologues and then some. The plot is so loose it flies in the wind. This is not for the reader who expects a plot-driven mystery, but is for one who enjoys characters larger than life and a hang-onto-your-hate wild ride, whilst learning real history of the area. There’s more here than meets the eye at first read. 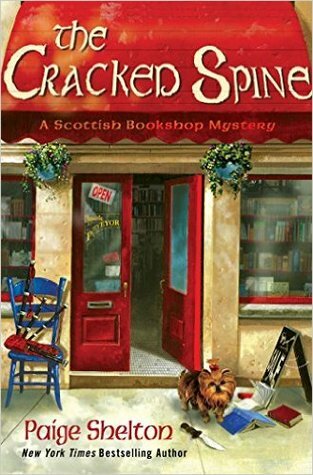 Paige Shelton premieres a new series, this time set in Scotland, with The Cracked Spine. Kansas native Delaney Nichols has a new job after she answers an ad and finds herself on her way to Edinburgh. With her degrees in English and History, working for a bookshop that specializes in rare books and manuscripts sounds ideal, even if owner Edwin MacAlister sounds vague about her duties. The shop is as crowded and wonderful as Delaney could imagine, even if she longs to bring a sense of organization to the premises. She finds the staff as eccentric as Edwin, too. There’s Rosie, an elderly woman accompanied by her little dog, Hector; and Hamlet, a would-be actor with a checkered past–but not as checkered as that of Jenny, Edwin’s sister, battling an old drug habit that’s nearly destroyed her relationship with her brother. Delaney is barely settled into her cottage, owned by a friendly taxi driver she’s met, when Edwin’s sister is brutally murdered after entrusting Jenny with an extremely rare and valuable manuscript–which is now missing. With Edwin grieving both the loss of his sister and the manuscript, Delaney starts asking questions. It’s not long before she’s investigating to find the murderer and retrieve the manuscript, especially when Hamlet becomes a suspect. There will even be a bit of romance with a man in a kilt, too, before Delaney’s first Scottish adventure is ended. A delightful start to a new series.